Lagos—Following the directive by Governor, Akinwunmi Ambode of Lagos State on the enforcement of Law against hawking in the state, most streets and highways at the weekend seemed deserted by traders for fear of being arrested. This came as the Lagos State Taskforce on Environment and Special Offences, vowed to commence a total enforcement on street trading across the state as directed by the governor today. Ambode at the weekend, directed law enforcement agencies to commence a total enforcement against street trading and street hawkers from July 1, 2016, saying that the law banning their activities across the metropolis would take its full course. The governor, speaking at a live interview, said that the renewed enforcement is in line with Section I of the Lagos State Street Trading and Illegal Market Prohibition Law 2003 which restricts street trading and hawking in the metropolis. However, observations over the weekend showed that quite a number of the traders deserted major highways, but have employed other means of hawking their wares. In Oshodi, Egbeda, Ikeja, Ikotun, Ojo, among other areas of the state, few street hawkers were seen on the road but with vigilance. It was gathered that most of the traders who were complaining bitterly against the law, accused the state government of planning to ruin their sources of living and thereby take to crime. One of the street traders, simply identified as Uche, who spoke to Vanguard at Egbeda area, said he has no other trade than selling handkerchiefs and confessionary which he had engaged in for the past six years since he finished his Ordinary National Diploma, OND, from a Polytechnic. He explained that in order to avoid arrest, they have come up with a new trend of keeping their wares in a hidden place, while they display only few for sale. “By this means the law enforcement agents can not easily detect or see us to arrest. More so, it will be easier for us to escape when the chips are down. 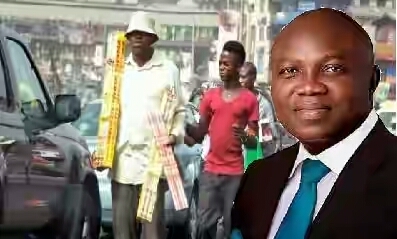 Governor Ambode, while sympathizing with the family of a street hawker who was knocked down by an articulated truck in the process of evading arrest from officials of Kick Against Indiscipline (KAI) along Maryland Bus stop last Wednesday, regretted that the situation led to the death and destruction of public assets. Consequently, Ambode said the state Executive Council has resolved to enforce the Law, which according to him makes both the hawker and the buyer liable of the offence.